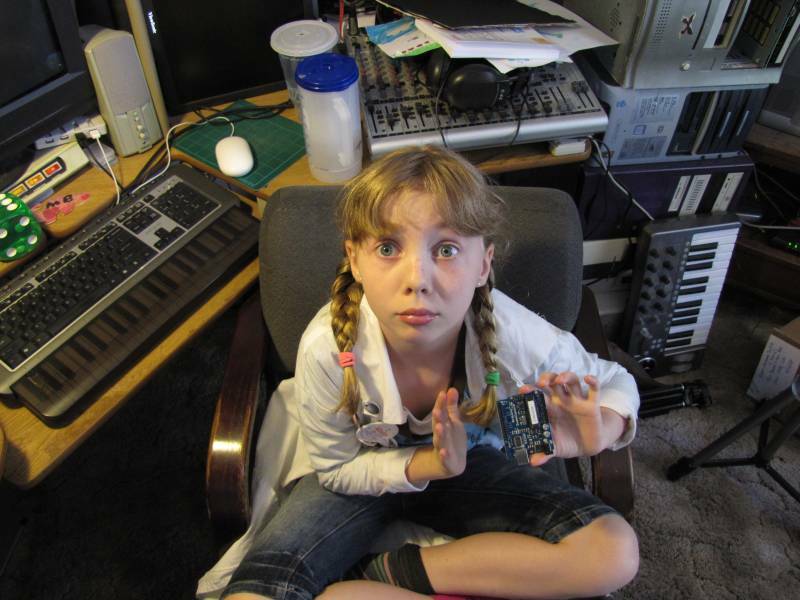 music | Sylvia's Super-Awesome Maker Show! The Randomly Influenced Finger Flute, or R.I.F.F. 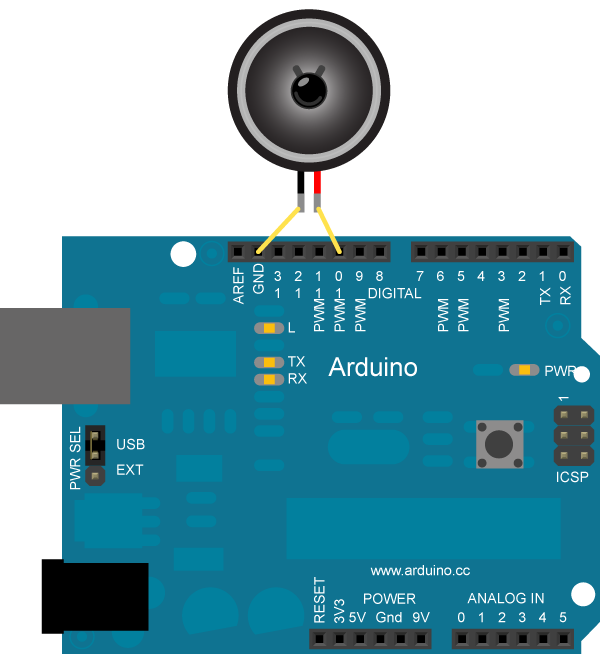 is a super simple arpeggio musical instrument, played by touching the exposed solder contacts for analog pin 0 and 5v/ground on the Arduino. It only requires an Arduino and a speaker, so there's no reason not to give it a try! And if you're feeling adventurous, fork the code on github and add your own features! Be sure and check out a far cooler musical project, tinker.it's Soft-synth: Auduino.